I hope this update finds you all well. Apologies for the lack of contact. Life has been a bit of a downer the past few weeks. I have attempted to write but as I write how I feel it’s been a bit negative and my motivation has been low so have been putting it off. Thanks to all those who have messaged and sent love, support and more good vibes than a girl could wish for. I feel like the past month has dragged like no tomorrow. I have had Chemo round number seven and I am on the final stretch. One to go. I am so close to the end of the first part of this crazy, roller coaster of a journey but there is a long way to go and I know I am almost through the worst part of it most of which I have been lucky enough to find relatively straightforward and not actually too taxing. While I am coping physically (I think all those years on the Squash court are certainly helping) mentally I am finding life a bit tough and the wheels were close to falling off. Chemo Number 7. That’s what my Portocath looks like. So I have not been feeling the greatest to be honest. I’ve been resting a lot because I caught a cold that gave me a bad cough so two weekends after round number six were pretty much spent in bed. Then the cough went away and reared it’s ugly head after round number seven. I have been boarder line exhausted. Even though I am feeling better than I was (having a low immune system and trying to fight off the common cold is a battle in itself) the pressures of a full time job and all of the responsibility that come with it are taking their toll. While the school is and has been incredibly understanding I am getting down about my ability to do what is required of me and I can feel myself sinking back into depression……hmmmm yes that old chestnut. It’s so difficult for me to rest because I always feel like I need and want to be busy. I’m not sure if it’s my female brain but I think wayyyyy too much and it is hard not to get down while being full up with a cold, tired, fighting cancer, thinking how am I going to motivate pre-pubecent males in the classroom all while still wanting to go out socialise and live the dream I came here for. It’s so hard when all I want to do is pack my back pack and jump on a plane and go explore to escape from it all. The change in the seasons makes people less chipper especially here in London so getting those little warm fuzzies on the tube are certainly more challenging but I am still managing to get them occasionally. It’s getting colder but it is not as bad as I expected (yet!) so that is good. I am feeling better than I was and have been back on the socialising bandwagon and trying to keep busy. So after a lot of consideration I have decided to resign from my current job. Unfortunately I just can’t cope with the workload and although I am getting away with not doing as much as I should be the expectations I have for myself are making me feel that I am not doing the job I should be because of the amount of effort I am not putting in. The students here are not like home and I do find myself missing my old job at GEIS, my classroom and all the access I had to resources and the respect the students had for me and the space I created for them. This is my last week at London Oratory. I will finish on Thursday the 19th (the term finishes on Friday) and in the New Year I will go back to day to day supply/relieving. To pretty much get paid the same with no responsibility is what I need right now. So travelling around London and doing some glorified very well paid babysitting will be back on the agenda. That way I can take a day off when I need to and not worry about having to plan relief or have to deal with extra work when I have to go back to school. It was not an easy decision but I feel better for making it and it is certainly a weight off my shoulders. So on the countdown to Xmas. 1 week left of school. Reports done, one more evening of parent teacher interviews and one more class worth of marking to be done. It’s been one year since I left New Zealand on Thursday the 19th and my I have last round of Chemo on Friday. Fly to Portugal with the girls on Sunday. Lots of things to reflect on, celebrate and look forward too. 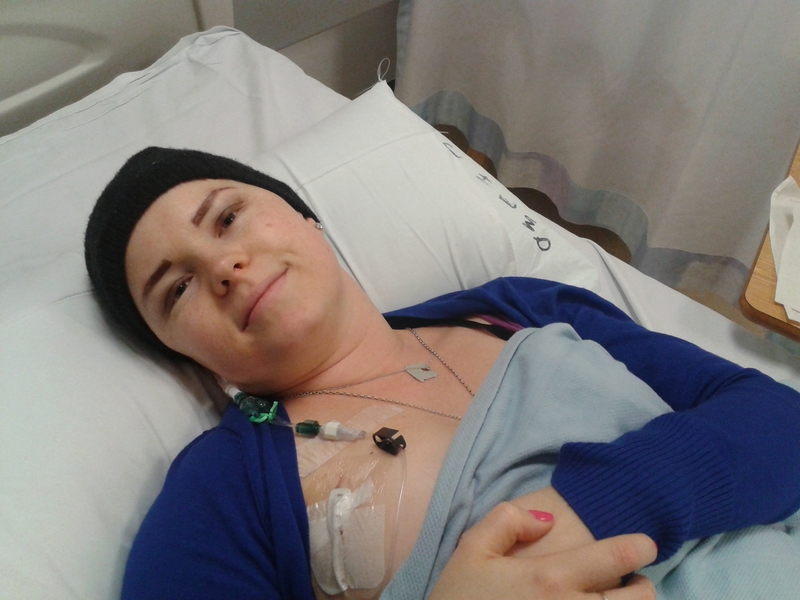 The side effects of Doxetaxel – the chemotherapy I am on at the moment don’t actually kick in until three days after I have had the treatment so life in the middle of the week following the treatment has been RUBBISH. At times I would rather be on EC (what I had for the first four rounds) as I felt like crap for a few hours after then I was fine. I think my body is getting used to it as the side effects are not as intense as the were when I started them in round four. My internal thermostat has a mind of it’s own and although the hot flushes have calmed down I over heat at the stupidest times. I’ll walk to the tube in the morning and as soon as I get on the train I am literally roasting in my shell and sweating like no tomorrow. The first day back to school after treatment was absolutely horrific. I was not feeling or looking good at all. But staying at home leaves me to think too much and I get way to anxious. Working has been tough but it has kept me sane. I am glad I made the desicion at the beginning of this journey to work through it and not take time off – not that I could anyway. A perfect example of “Money makes the world go around”. Need to be busy. Even just sitting eating breakfast not doing anything strenuous but eating and then boom sweating, roasting and then soaking wet. Hate it. My finger tips and feet ache and still feel a bit odd after two weeks since the last treatment. Taste buds have actually not been too bad the worst thing is I am always hungry because of the steriod’s. Along with fluid retention I am feeling like a bit of a fatty. Not being able to exercise because of the lack of energy goes on the list of current frustrations at a number that is surely in the hundreds on the “I have Cancer” winge list. I can’t believe it’s been a month since Mum left. Was great to have her here, seems so long ago! On the good news front my hair seems to be growing back. It is very wispy and blonde and I have a few eyebrow hairs so that is positive. I miss my eyelashes so much. Can’t wait to be able to wear mascara again. I find myself constantly staring at peoples lushcious eyelashes, sigh. I have tried false eyelashes but they take ages to put on and because I don’t really have much to sit them up against I give up and just wear plenty of eyeliner. Because my eyelashes are non existent my eyes water all the time. I’ll be walking around outside and all of a sudden i’ll have tears streaming down my face and blinking furiously because it feels like I have something in my eye. Annoying much. Gone are the days of not wearing make up – which I used to do all the time back when I had eyelashes and eyebrows. Miss those days! I am defiantly missing those extra 15 minutes of sleep in the morning. I am starting to miss my hair too. It’s bloody cold with no fur on top. I wear a hat to bed and to and from school or whenever I need to be outside. It’s going to take me years to get my mane back. Sniff. Luckily I look good bald and with short hair too when it decides to grow back long enough so I can style it. At the moment it looks like fluff. 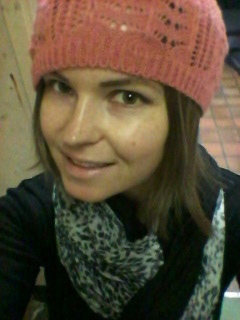 Wrapping up warm for Winter! 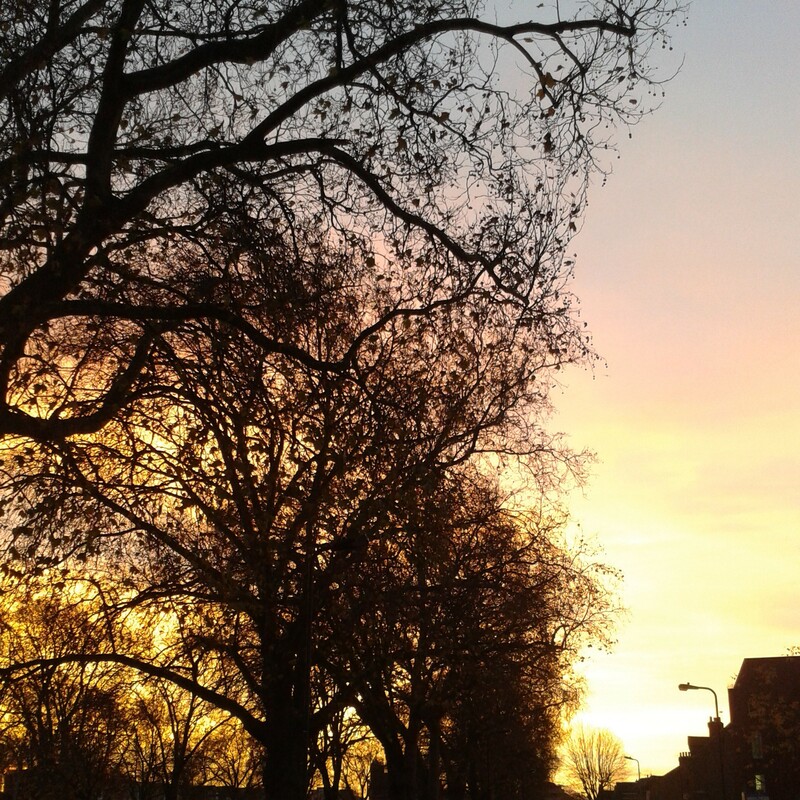 London still continues to be a good home to me and I am still so so glad I live in a place that has so much to offer. Over the past few weeks I have still managed to get out and about. It was an amazing opportunity to go and do an abandoned underground station tour. Aldwych Station on the Strand is one of 26 disused stations in London. Such an interesting piece of London history and a great outing with Sarah, Ally and Michelle. I have ticked yet another West End musical off my list – Let It Be – based on the story of the Beatles. It was more like a concert than an actual musical. Great to stand up and sing along to some great classics with Catherine, Imogen, Sarah and Kate had a pretty yum dinner before hand at a Mexican restaurant called Wahaca. YUM! 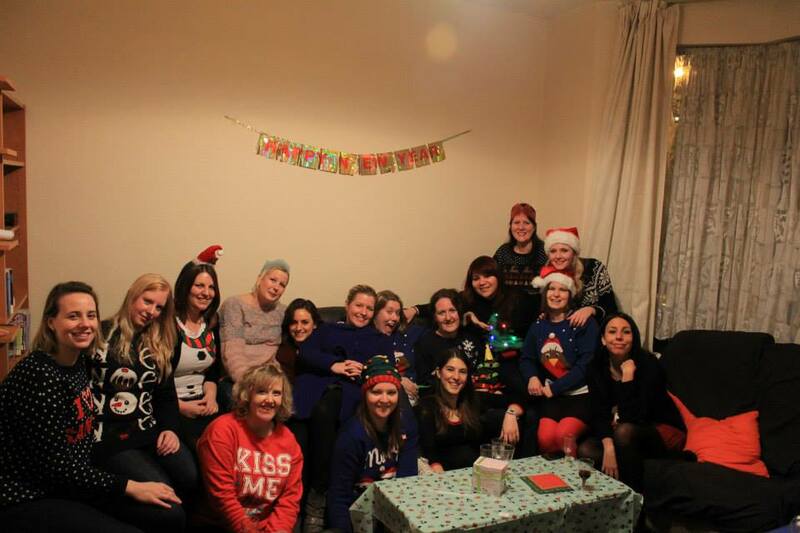 Last weekend we had 16 lovelies around at our place for an “Orphans Christmas” lunch. Orpahns being all from Australia and New Zealand – our family in London. Of course I took it upon myself to organise and prep enough food for this many people and managed to pull it off. We had everything from Bubbles and Mulled Wine to Roast Lamb from New Zealand, Roast Pork and Chicken along with veges and gravy as well as yummy desserts including Ambrosia, Trifle (that by Wednesday was AMAZING! ), Pavlova and Steamed Pudding with custard. We also had a Secret Santa where each of us brought a gift and it was lucky dip. Was such a wonderful afternoon and we all found ourselves with food babies! Great people, good food and good times. Might I add to that there were some wonderful xmas jumpers being worn. Orphans Xmas 2013. From Left – Sarah, Michelle, Ally, Amy, Danieka, Lauren, Natasha, Catherine, Blayne, Imogen, Katrina, Ashleigh, Kate, Kirsten, Me and Esme. London seems to know how to do Christmas. The city does it so well. It is so stunning with all the beautiful lights around the place and amazing shop window displays. This weekend Kate and I made it to Winter Wonderland in Hyde Park. An amazing array of Xmas markets, eateries, bars, fun fair rides and games. With a Bavarian theme running through the whole place we found ourselves drinking beers in a giant tent listening to an old man doing covers by himself without a band and thousands of people loving it! Classic. Can’t wait to enjoy Xmas in Portugal we fly out next Sunday the 22nd of December and come back Thursday 2nd of January. We will be in Lagos for the first half of the trip and will have a car so looking forward to doing road trips to smaller coastal towns and wineries. Then up to Lisbon for New Years. Excited! After the festive season my focus will be on finding out how much “Lumpy” has decided to shrink. I will need to have another MRI, an Ultrasound and probably a Mammogram to ascertain exactly what tissue in my breast needs to be removed. Hopefully surgery will happen mid to late January. After I have healed it will be Radiation for three weeks everyday after school. I think I will be having Radiation at UCL – University College Hospital which is close to Regents Park. Rushing off after school everyday for three weeks while still having to be a committed teacher will be too hard so glad I have made the decision to step back. Then Herceptin every three weeks until the end of October 2014. It is hard to predict what will happen so as always I am trying to take one day at a time. Love, hugs and warm winter fuzzies!